Alt P/N. : 516876-001 532613-001 532614-001 532616-001 533736-001 535438-001 535439-001 535442-001 582321-001 587244-001 601728-001 KSB0505HA F909 DFS551305MC0T AB7805HX-L03 .. 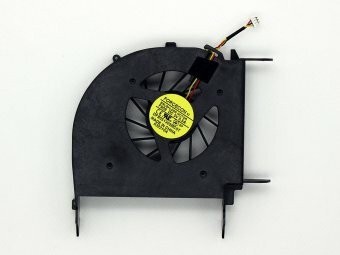 Note: Laptop manufacturers may use a different CPU Cooling Fan Inside Cooler for HP Pavilion DV6-1238NR DV6-1240US DV6-1241TX DV6-1243CL DV6-1244SB DV6-1247CL DV6-1250US DV6-1253CL DV6-1255TX Series. Please enlarge the actual pictures, check Product Specifications and compare with the original item in your laptop. The customer is responsible for ordering the correct laptop cpu cooling fan.